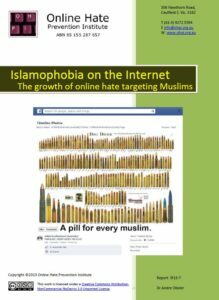 On International Human Rights Day, December 10th 2013, the Online Hate Prevention Institute (OHPI) have released a major new report into the growing problem of online hate targeting the Muslim community. 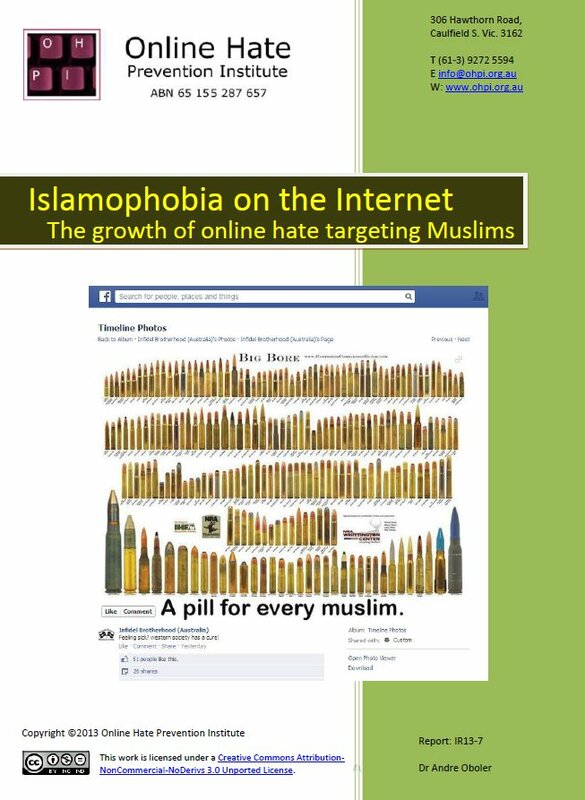 The full report, titled ‘Islamophobia on the Internet: The growth of online hate targeting Muslims’, is available below as a free download. 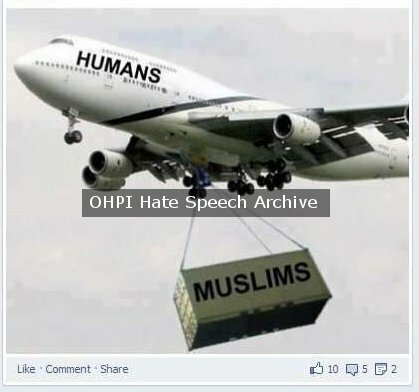 The report examines anti-Muslim hate on Facebook and was produced by the Online Hate Prevention Institute, Australia’s only charity entirely dedicated to the growing problem of online hate. We thank the Islamic Council of Victoria, the peak body representing Victoria’s Muslim community, who we consulted regularly in the preparation of this report. The report follows previous major works by OHPI examining online hate against Indigenous Australians, the Jewish Community, and the ANZACs and Military Veterans. 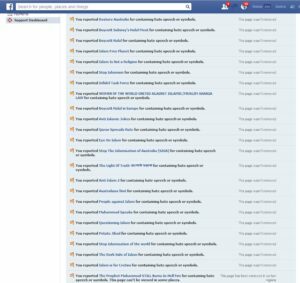 This major work examines 50 anti-Muslim Facebook pages. 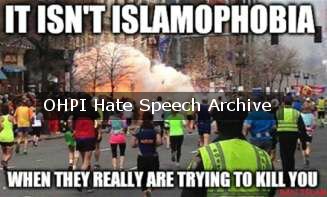 The Facebook pages range from “The Islamic threat” which today passed the 113,000 supporter mark and continues to rapidly grow, to “Mohammad the PIG” which vanished after reaching 2000 supporters. 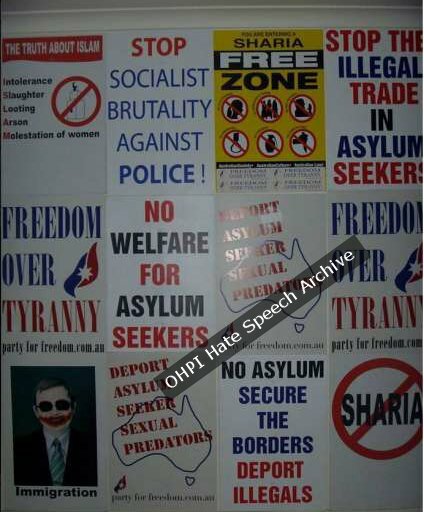 From these 50 pages the report documents 349 images of anti-Muslim hate. These images represent 191 unique images and many repetitions as messages of hate move between the different pages. 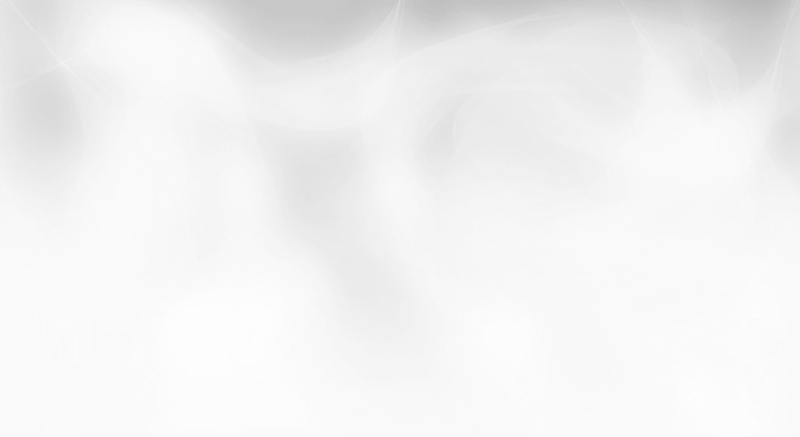 The message of hate in this report are divided into seven themes which the report discusses. 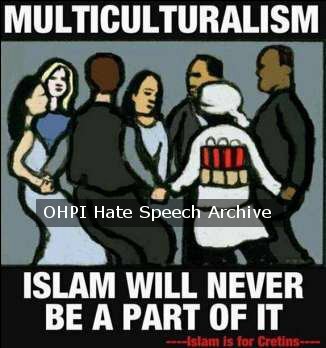 American, British and Australian nationals provide the highest level of support to these pages of hate. Of the pages examined 13 of them were specifically Australian in nature. Pages like “Look after Australians first deport all illegal boatpeople”, and “Australian Defence League Official Adl Est 2009”. This report aims to highlight the existence of what is a serious hate speech problem on Facebook. To the extent that this content gives a window into the hate speech against Muslims that is currently circulating in society, we hope this report assists community leaders, policy makers, law makers and researchers in better understanding and responding to this threat to an inclusive society. In democracies inclusiveness is regarded as a public good, as such, this hate speech is not only an attack on the Muslim community but an attack on society as a whole. We must work together to tackle this growing problem. Selected extracts from Statements of Support for the report. Journalists, bloggers, and relevant organisations and governmental departments wishing to receive a copy of the report before December 10th should e-mail OHPI. 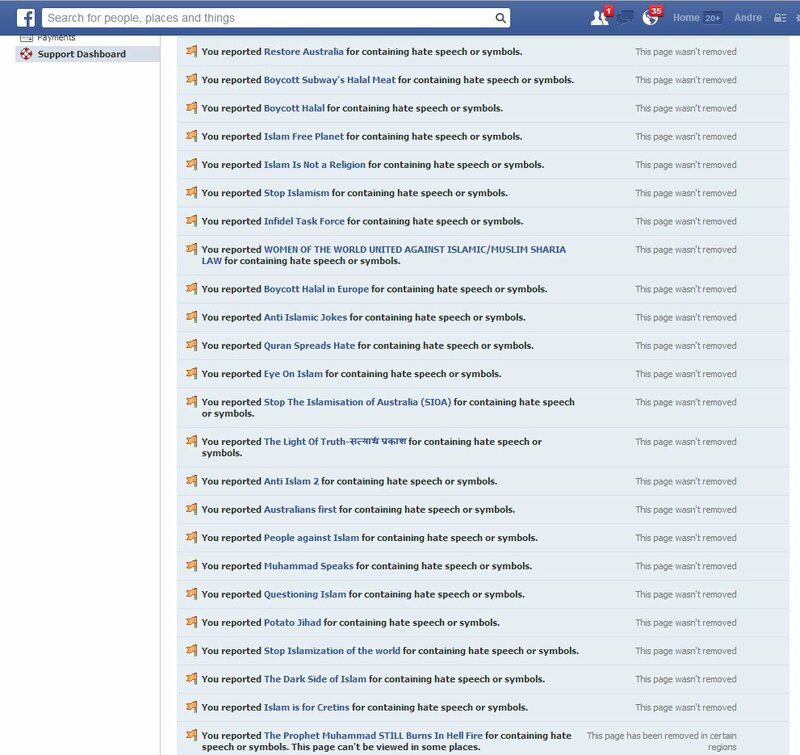 ABC Radio National, ‘Muslims Trolled’, Drive, 10 December 2013 7:23pm (Waleed Aly interviews Andre Oboler).